The fashion industry is revolutionizing the sports world. The emergence of new fashion trends have also influenced the designing and manufacturing of the sportswear. In the past, there was nothing like fashion and style in the sports outfits. The players use to wear the outfits having negligible or very limited designs and patterns. But for now, the things have changed. Nowadays, the players are treated as style icon. Their style is being copied by their followers and fans. They want to look stunning during the game as well as during the practice. The designer collection has a very positive impact on the players. The good looking outfits help in boosting the confidence level of the players, thus significantly influencing their performance on the ground or court. To cater to the demands of the players, the sports uniforms manufacturers are offering their collection in attractive designs and shades. They are powering their collections with amazing designs like stripes and other colourful motifs in order to make their uniforms remarkable. The market is flooded with outfits having comprehensive range of designs and patterns. There are basically two types of outfits available in the market. One is known as standard designs and the other one is known as custom designs. Let me discuss these ranges one by one. The custom sports uniforms are highly demanded these days. These are made to order collections in which the designers provide designs as per the specifications of the teams, clubs and players. Nowadays, every team wants to get the invincible looks. For this, they need special collections having unique styles and color combinations. Moreover, some of the additional features are also provided in the uniforms. These additional features are team name, player name, team logo, etc. These uniforms help in providing the unique identity to the teams. Moreover, these features also help in popularizing the club in the local areas which eventually helps in enhancing the chances of getting sponsorship opportunities. 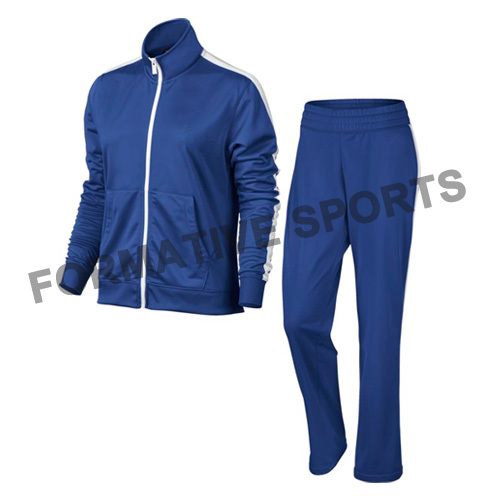 Another range is known as standard sports uniforms. These are basically created in the replica of some of the most popular teams. These are highly demanded by the fans of the popular. They wear these collections in order to show support to their favorite teams. Some of the games like soccer, rugby, basketball, cricket, tennis, etc involve lots of physical exertion. So, the players associated with these games need sports uniforms manufactured using graded fabric. To ensure that players get full flexibility during the game, the manufacturers prepare their range using polyester fabric. This is a comfy fabric and provides full flexibility to the players during the game. Moreover, the printing is provided with the help of sublimation printing technique to ensure that the players look great during the game. Formative Sports is highly appreciated in the international market as noteworthy sports uniforms manufacturers. We are offering our range in attractive designs and shades. Contact us to get custom team uniform at competitive rates.